ON THE GO OC - Things to do with your family. : Free Ghoulish Glam Make Overs By Sephora for Universal Studios Hollywood Horror Nights Guests! Free Ghoulish Glam Make Overs By Sephora for Universal Studios Hollywood Horror Nights Guests! Wow!! Courtesy of Sephora on CityWalk guests attending HHN can get a free Ghoulish Glam Make over! Universal Studios Hollywood invites “Halloween Horror Nights” guests to step out in style this season with all-new “Ghoulish Glam” makeovers, applied complimentary courtesy ofSephora on CityWalk. 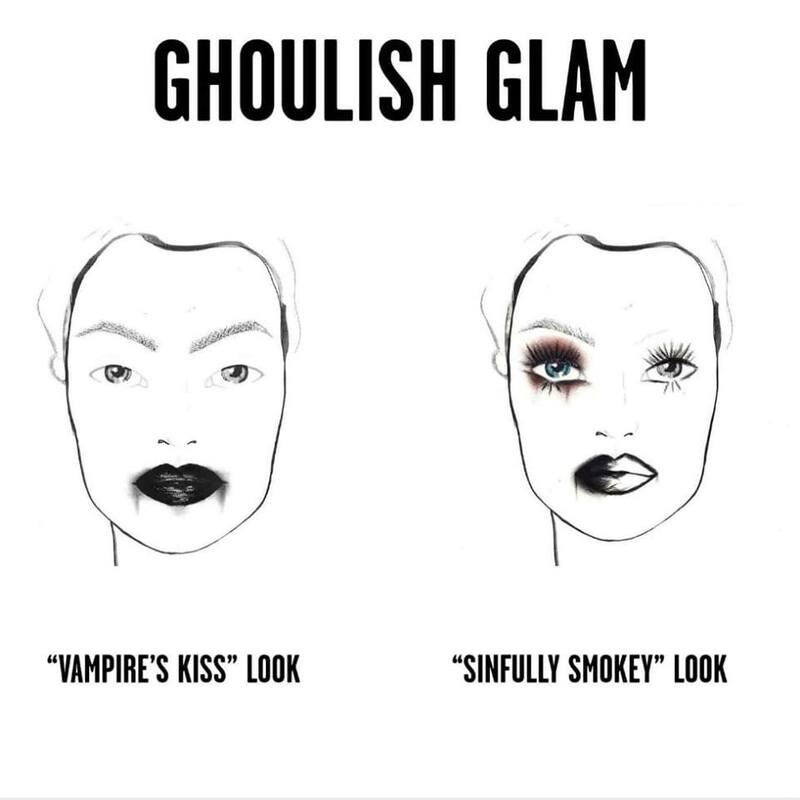 The process is simple: while en route to “Halloween Horror Nights” guests can detour to the new CityWalk Sephora to receive the complimentary “Ghoulish Glam” look, and stock on supplies for later. Guests can book their “Ghoulish Glam” makeover reservations by visiting Sephora’s website. “Stranger Things” - Netflix’s critically-acclaimed series comes to life for the first time in an all-new maze featuring the Upside Down and the predatory Demogorgon. “Poltergeist” - Inspired by MGM’s iconic supernatural horror film characterized as one of the scariest movies of all time. “Universal Monsters” - A contemporary twist on Universal’s original cinematic Monsters featuring an original score produced and composed by GRAMMY® Award-winning musician, SLASH. “Trick ‘R Treat” - Based on the Legendary Pictures’ cult Halloween classic movie directed by Michael Dougherty. “The First Purge” - Inspired by Universal Pictures’ blockbuster thriller franchise, where all crime is legal for 12 hours. “Halloween 4: The Return of Michael Myers” -The iconic slasher is back in an all-new maze based on the classic Halloween franchise. “The Horrors of Blumhouse: Chapter Two” - A killer maze that unites two hit movies produced by Jason Blum – Blumhouse’s Truth or Dare and Unfriended. “Terror Tram: Hollywood Harry’s Dreadtime Storiez” - The notorious serial killer clown that terrorized Universal’s famed backlot returns as the host of this year’s Terror Tram. For exciting updates and exclusive “Halloween Horror Nights” content, visit Hollywood.HalloweenHorrorNights.com, like Halloween Horror Nights – Hollywood on Facebook; follow@HorrorNights #UniversalHHN on Instagram, Twitterand Snapchat; and watch the terror come to life on Halloween Horror Nights YouTube. Have fun with this!! Great experience for those of us that seriously try to dress up a little for the fun yet need to still be ready to scream and run... make up for all! Bwahah!